The Killers on the Jonathan ross montrer w/ Justin bieber and Liam Nelson. 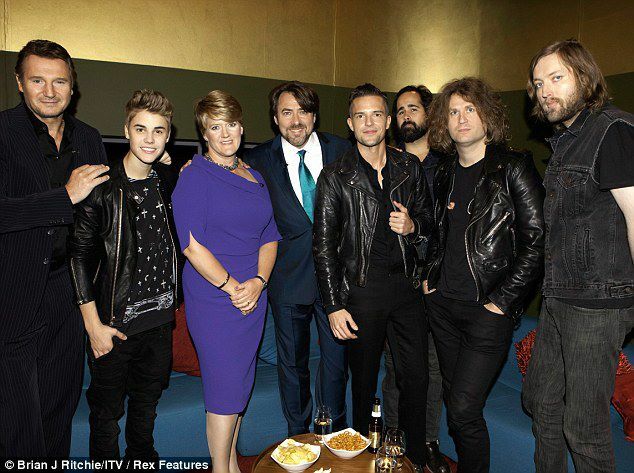 The Killers on the Jonathan ross montrer w/ Justin bieber and Liam Nelson, September 14. Wallpaper and background images in the The Killers club tagged: the killers jonathan ross justin bieber liam nelson 2012 battle born. This The Killers photo might contain bien habillé personne, costume, costume pantalon, tailleur-pantalon, pantalon costume, pantsuit, personne bien habillé, and pantalon de costume.